Manufacture of Isuzu bakkies (top left of the picture) and trucks now takes place under one roof in Port Elizabeth. 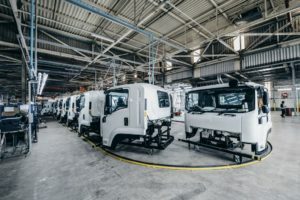 Isuzu Trucks South Africa chose Valentine’s Day to officially announce a new loving and close relationship between Isuzu bakkies and Isuzu trucks via the opening of its consolidated truck and bakkie manufacturing plant in Port Elizabeth. 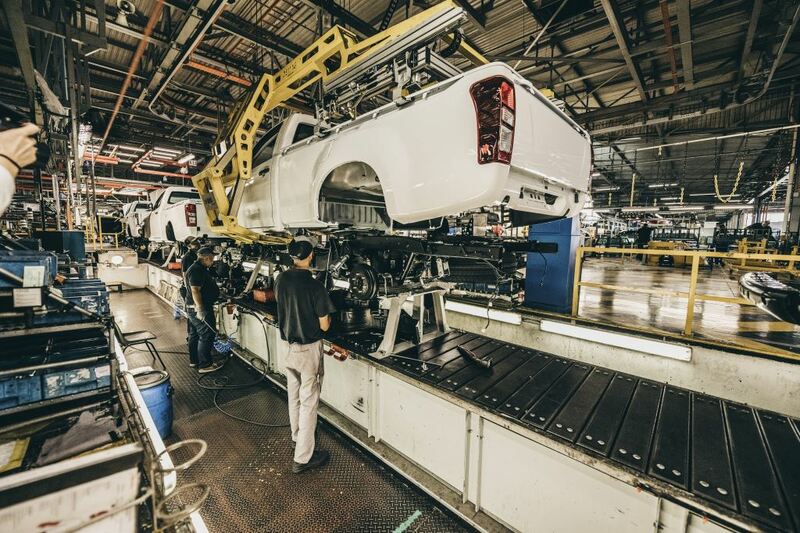 The truck plant, which was based at the old Kempston Road facility, is now combined with D-MAX production at the Struandale assembly plant. 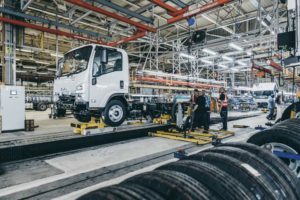 The R27-million project of relocating the Isuzu truck production facilities from Kempston Road in Port Elizabeth to Isuzu Motors South Africa’s headquarters in Struandale, Port Elizabeth, ensures that all bakkie and truck manufacturing now takes place under one roof. The relocation follows the merging of Isuzu’s truck and bakkie business in February 2018 with the establishment of one company, Isuzu Motors South Africa. 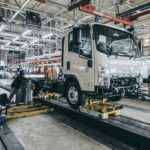 With Isuzu Trucks South Africa consolidating its truck and bakkie manufacturing plant in Port Elizabeth, the truck range, which was based at the old Kempston Road facility, is now combined with D-MAX production at the Struandale assembly plant. Chief Executive Officer and managing director, Michael Sacke, says having both Isuzu production facilities under one roof has many advantages – including driving a common team culture and the optimisation of shared resources. 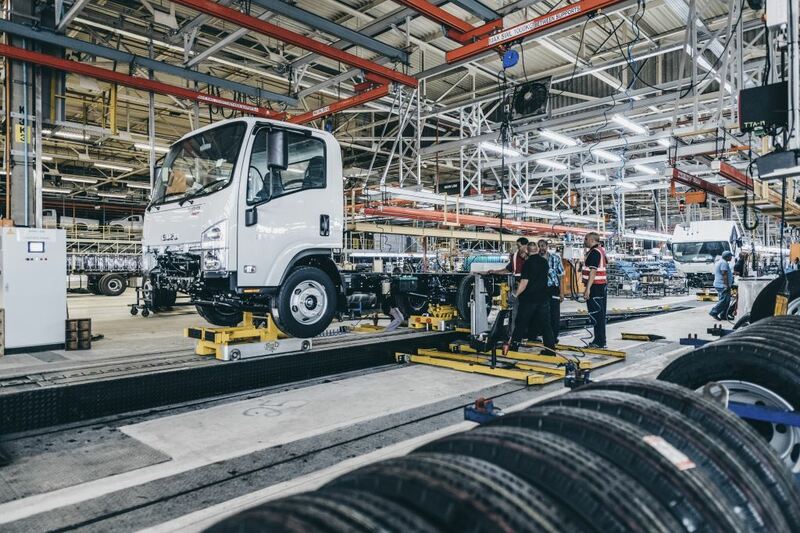 After 21 years of truck production at Kempston Road, it was the end of an era when the last truck rolled off the production line on 30 November 2018. 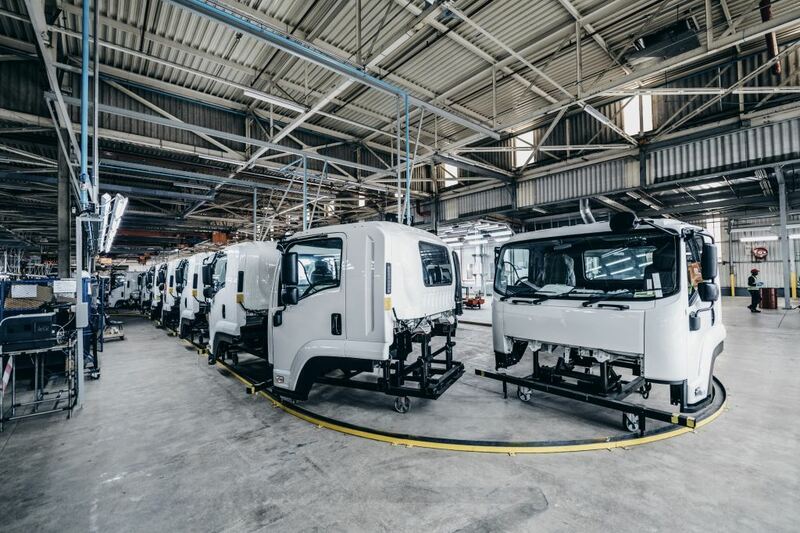 “We started with regular production of our trucks at their new home in Struandale in January 2019. These changes have resulted in greater efficiencies in terms of our manufacturing support resources and an opportunity to improve the application of our lean manufacturing system,” says Sacke. 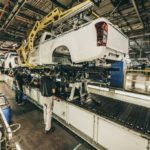 Manufacturing and supply chain executive, Johan Vermeulen, says it took many months to study, plan and execute the truck plant move and offered the ideal opportunity to correct historical layout inefficiencies. Compared to the Kempston Road location, a 50% improvement in space utilisation under one roof was achieved and a 22% improvement in the overall amount of space required. Managed by Isuzu Motors South Africa’s internal team using local contractors, site preparation took around eight months (Phase 1) followed by the relocation, commissioning and start-up of the truck facility in just seven weeks (Phase 2). 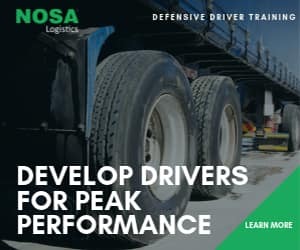 Phase 2 took place during the shutdown period, which also included in-depth training for the truck manufacturing team. By positively promoting a single company culture, the new modern site will allow for shared production learning. 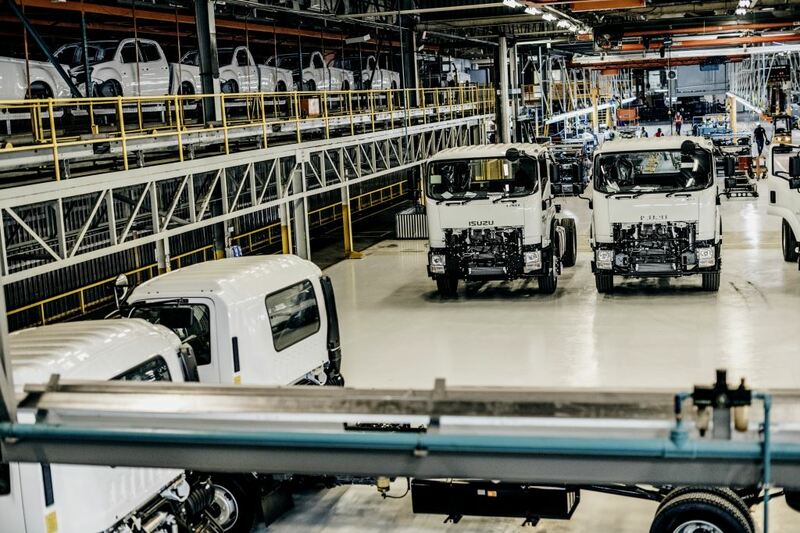 “By uniting the two manufacturing facilities, the end result will be even better in terms of quality products and services to both our truck and bakkie customers,” says manufacturing and supply chain executive, Johan Vermeulen. By positively promoting a single company culture, the new modern site will allow for shared production learning. “By uniting the two manufacturing facilities, the end result will be even better in terms of quality products and services to both our truck and bakkie customers,” says Vermeulen. Looking back on the year since the establishment of Isuzu Trucks South Africa, Sacke says the company has experienced a wave of positive change throughout the organisation both operationally, strategically and in the market place. Isuzu’s investment in South Africa preserved 1 000 direct jobs and secured around 4 000 jobs through its network of 80 dealers in South Africa and 35 dealers in Sub-Saharan Africa. Isuzu also ensured the continuity of business with around 430 direct and indirect suppliers while managing its smooth transition to new operations and to a new dealer network. 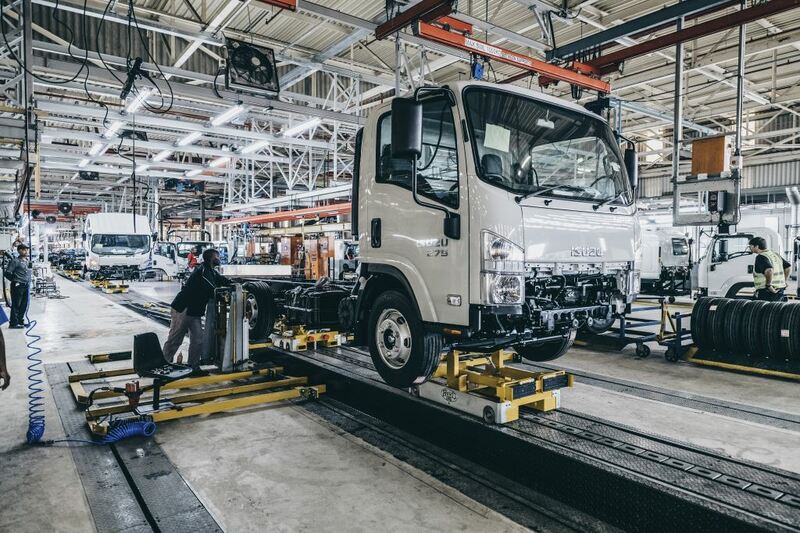 Production of Isuzu trucks at their new home in Struandale started in January 2019. The company successfully transitioned to new Information Technology systems and moved its engineering equipment from Kempston Road to the Vehicle Conversion and Distribution Centre in Markman Township in Port Elizabeth. “As we look towards future growth, Isuzu is keen to play its part in the economic development, growth and transformation of South Africa along with our customers, dealer network and partners,” says Sacke. “Isuzu secured the commercial vehicle market share of 14.1% in 2018, while Isuzu D-MAX sales volumes were up over 8.7% compared to the previous year – achieving a market share of 14.4%. Overall, we are very pleased with these sales figures in the first year of operations for Isuzu Motors South Africa,” says Sacke. 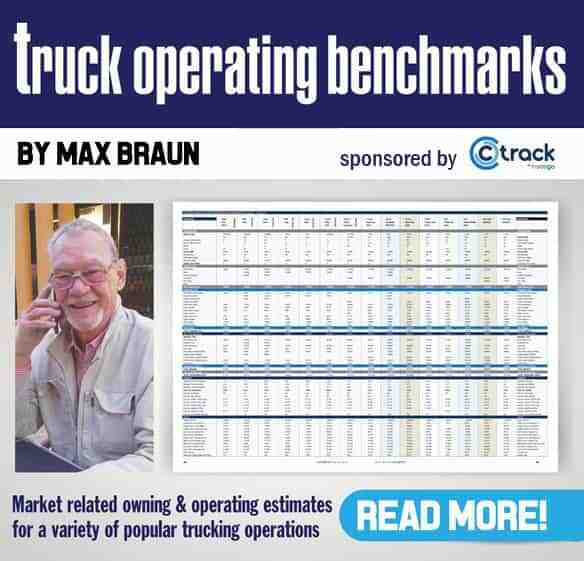 “Continuing to provide outstanding after sales and customer support, we are planning another robust year in 2019, which started with the consolidation of Isuzu Motors South Africa’s Truck and Bakkie plant,” says Sacke.